'Action Man takes to the air. 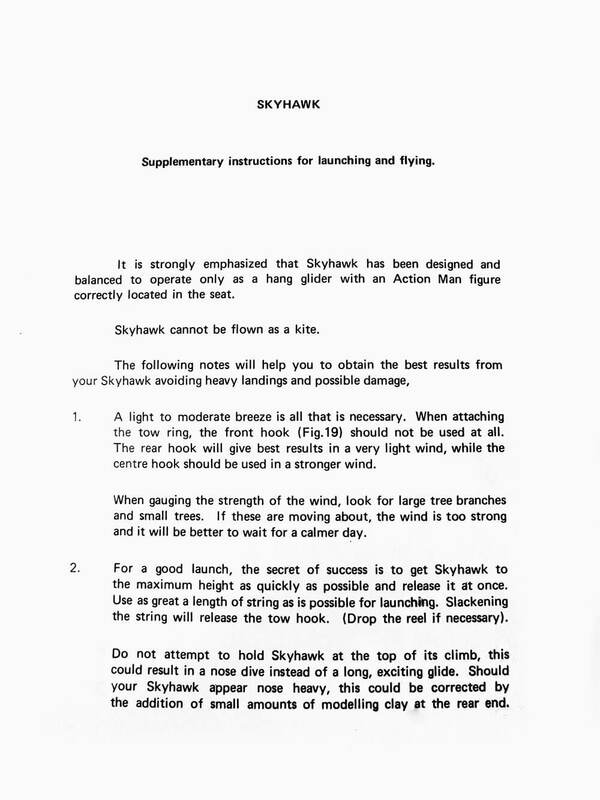 Launched like a kite, easily released, the huge Skyhawk then glides to earth. 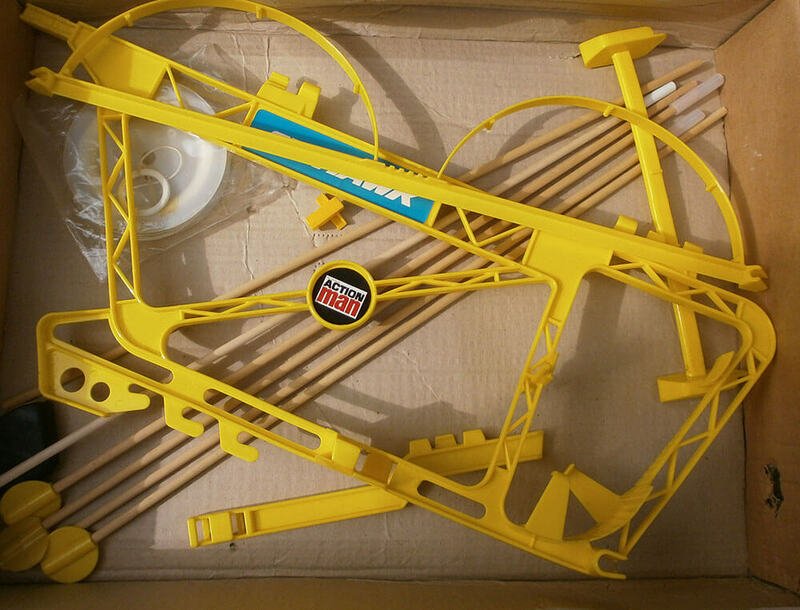 Now Action Man is airborne and experiencing dramatic flights in this hang-glider' states the Equipment Manuals. 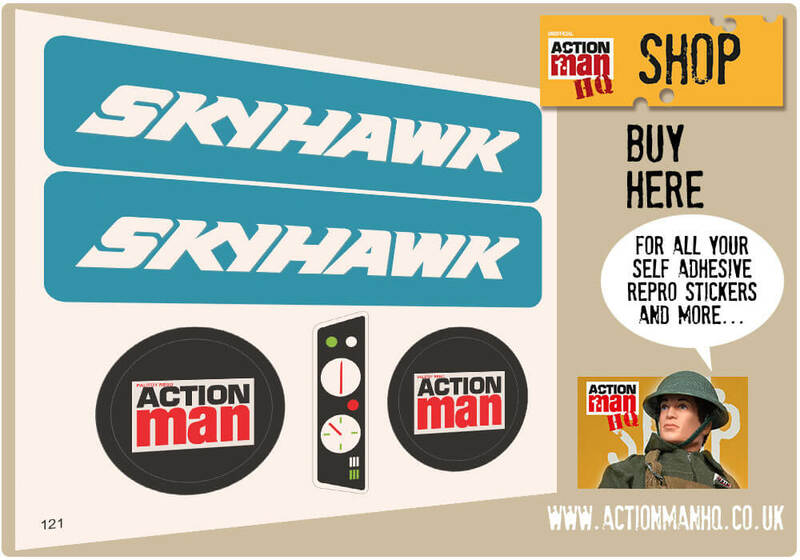 The self-assembly Action Man Skyhawk was a scale flying model of glider that could be launched like a kite with 24 metres of cord and then detached to glide free. Unfortunately it was not built to last and it had a mind of it's own once 'let go'. 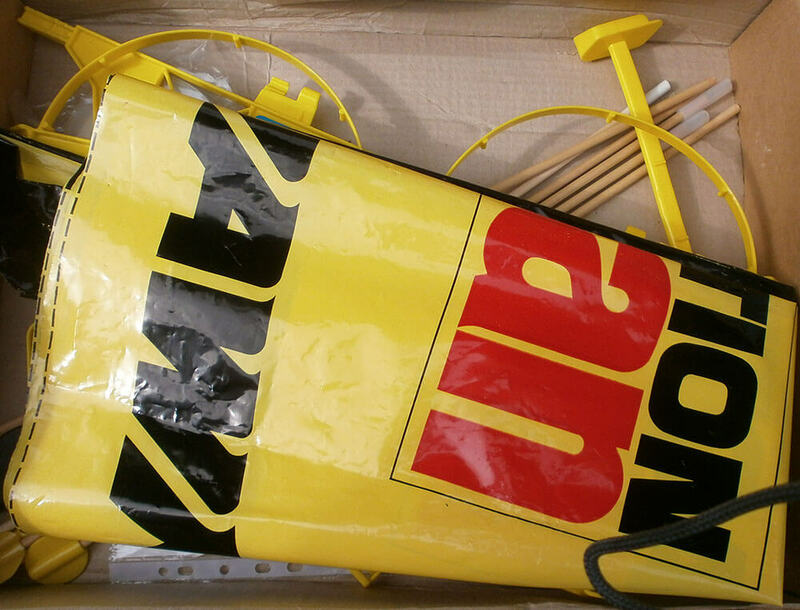 It even came with repair tape and repair tips. 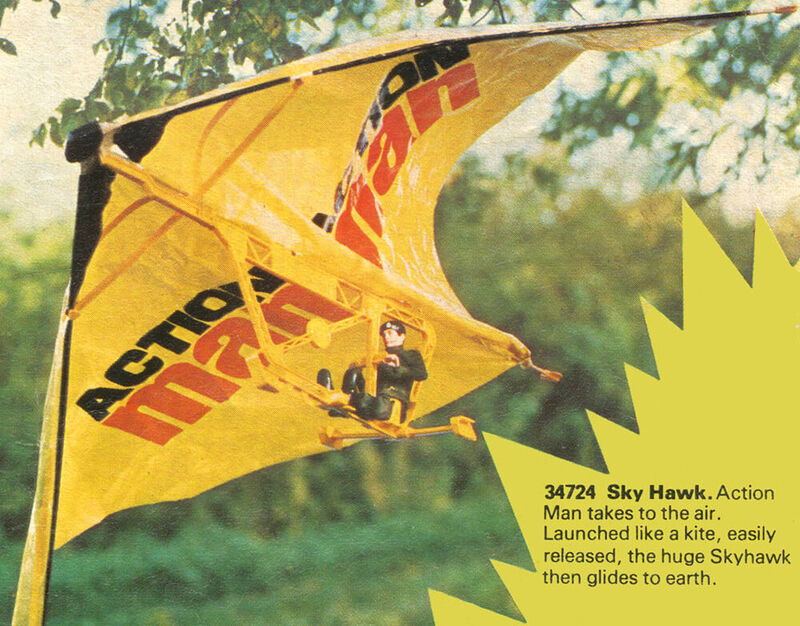 The Action Man Skyhawk's wing span was an impressive 1.75m (or 69")! 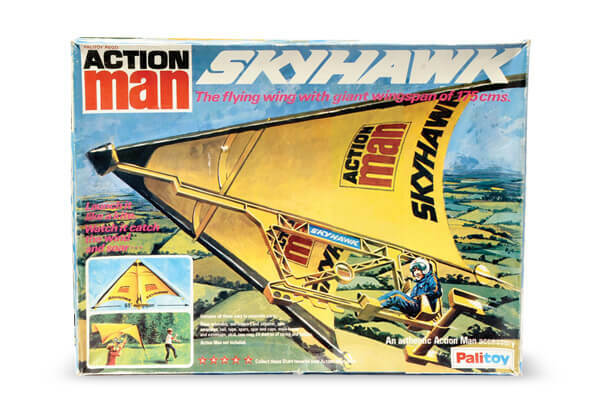 The Action Man Skyhawk was a scale flying model of hang-glider made of polythene, plastic and wooden dowels and was fairly technical to self assemble. A large field and a friend was required. together with a wind less than 15mph. You needed to your a friend hold the Skyhawk and play out 15 feet of string. You were now required to run into the wind as your friend let go. The glider acted as a kite - soaring skyward, until you slackened the string enough to let the ring drop off the hook, then the glider would glide free - sometimes disappearing out of sight never to be seen again or Action Man falling out! You were reminded not fly Skyhawk near pylons of overhead cables. There are few stickers which had to be applied to the finished craft, replacement stickers available here. Thanks to Les for supplying some of these images.